Happy 2013 y'all! It's been a quiet one around here as we are recover from our recent trip. Last night was especially low key, as Shira and I watched a chick flick and ordered in Thai food. Ahhh, the simple pleasures of being in your own house, eating familiar food while watching a predictable movie. Here are some random'ish snapshots from the last couple of days. 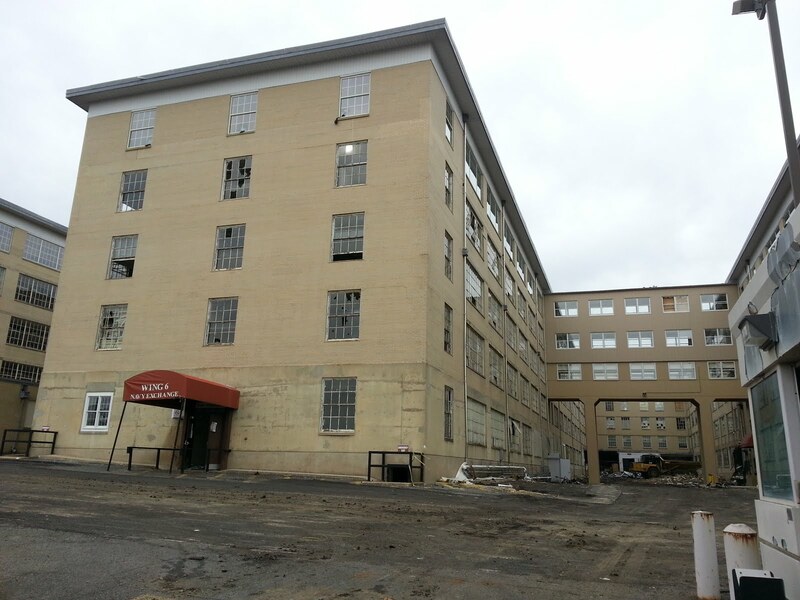 The Navy Annex is finally being torn down. Not too shabby, considering the story I've been told is that they were built in 1941 as temporary buildings. 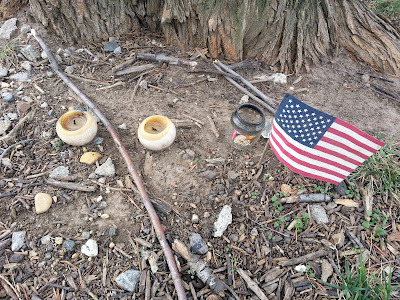 Not sure what this little monument is for. 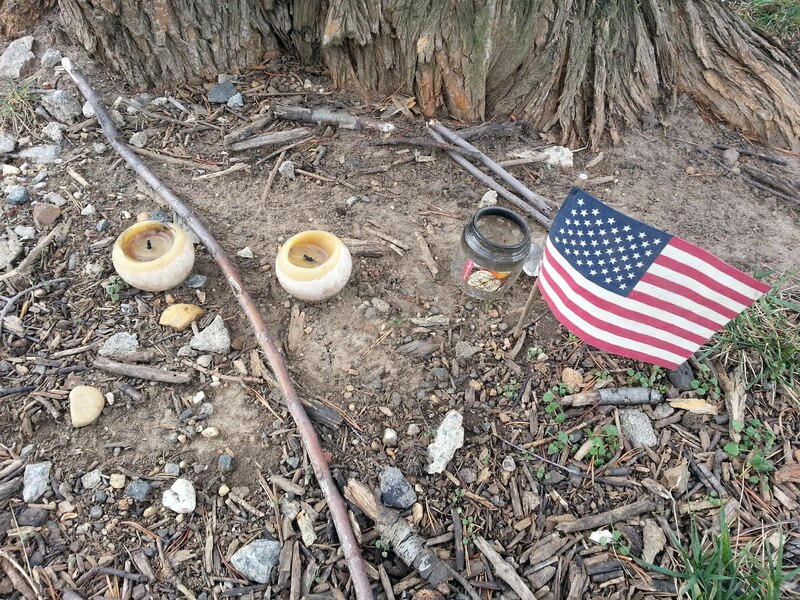 Perhaps a mini vigil to the folks in Newtown, CT? 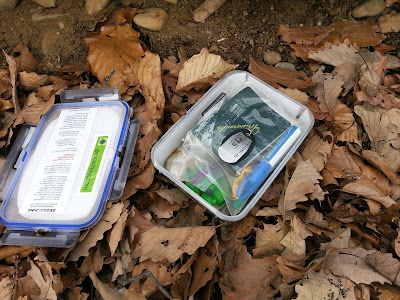 Here I am, dropping of a travel bug in a local Geocache. This tag started its life in Japan, and I was glad to bring it back from Panama, so it could continue its journey. 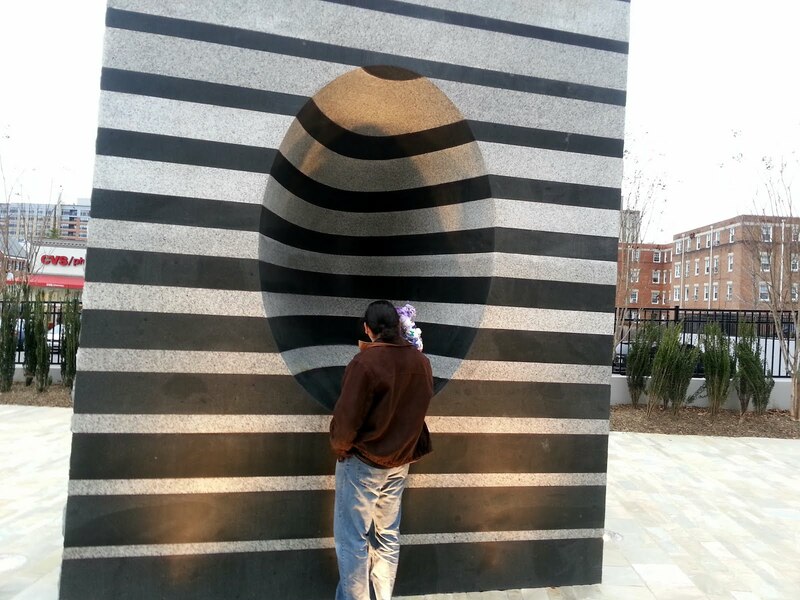 Here's Nick and Aurora checking out the Echo sculpture on the Pike. 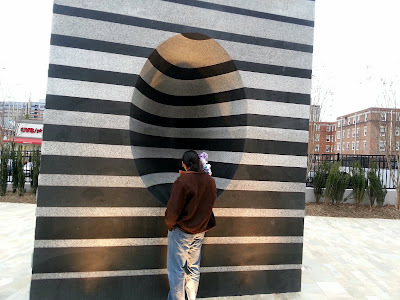 The sculpture was inspired by the Arlington Radio Towers, which was the site of the first transatlantic voice communication (between Arlington and the Eiffel Tower!). As sculptures go, I'm a fan. It's a clever way to honor a history many of us Arlingtonians no nothing about. Uh, correct me if I'm wrong, but it's 5:44pm and the House has yet to vote on an agreement to avoid the cliff. 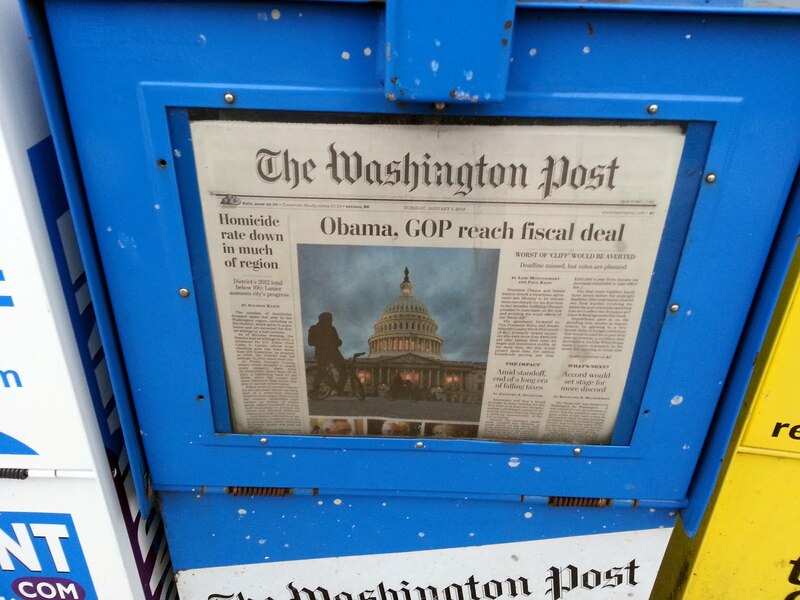 Looks like the Washington Post got a little ahead of themselves on this story.